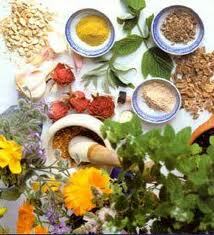 As far as systems of alternate medicine go, Ayurveda is one of the fastest growing ones in the world. Originally from India, it is spreading fast in the west. Although most people associate it with massage, relaxation and treatment of health ills, Ayurveda also offers weight loss solutions. In fact, a lot of people have successfully adopted Ayurvedic practices for weight loss, and in the process also restored a greater sense of harmony and balance in their lives. To understand how Ayurveda works for weight loss, one must first understand the system itself. According to Ayurveda, life is a process that involves the interaction of three forms of energies, or Doshas: Vata, Pitta and Kapha. These energies are present in every person, and one can only be regarded physically, mentally and spiritually healthy, when these energies are in balance and there is harmony. However, if you are struggling with obesity, excessive stress, a short temper, depression, poor immunity or any other physical or mental illnesses, it shows that the energies are not in balance and corrective measures are necessary. As far as excess weight goes, Ayurveda does not work like modern fitness methods, which focus simply on the gap between calories burned and calories consumed. Rather than simply following a calorie formula, Ayurveda first seeks to understand why and how your energies are out of balance. To begin with, in most people the three energies are not present in equal measure. It is more likely that your life involves one or two predominant energies. Vata is the energy responsible for all forms of mobility, including digestion, blood circulation, respiration, creative thinking, emotions and speech. People who are predominantly Vata are easily excitable, highly energetic, restless, and may struggle with consistent focus and long spells of concentration. Pitta is the fire energy. It is responsible for the mechanism of metabolism and certain thinking skills, including the capacity to understand. People with a large dose of Pitta energy do not gain or lose weight easily; they are very sensitive to light; and they have a great appetite for sweets, and a great capacity to learn and concentrate. Kapha is the energy of earth and water, and consists of all the organs, tissues and cells in the body. Its functions include the lubrication of joints, memory retention, and muscle and bone strength. Kapha individuals have strong, thick set bodies and they are trustworthy, loyal and compassionate. Their minds are steady too, but they often have a slow metabolism. This makes them prone to putting on weight and they also find it very difficult to lose weight. When any of these energies is out of balance, it causes certain specific physical and mental repercussions. The first thing that an Ayurvedic practitioner will do is understand your physical and mental characteristics, in order to identify what your predominant energy is. After this, he will diagnose your imbalances and prescribe a certain kind of lifestyle, diet and exercise so that you can achieve a state of balance and harmony. For instance, if he finds out that your obesity is linked to imbalance in your Kapha Dosha, he may prescribe light meals, avoiding iced drinks, oily foods and dairy, and keeping your exercise routine flexible. 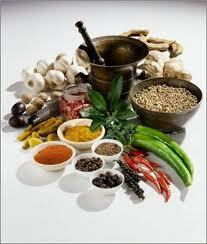 At the end of the day, you will draw a lot of benefit from Ayurveda as a weight loss solution. At the same time, it will also work as a holistic cure for other lifestyle ills, such as excessive stress, short temper and anxiety.